By Perilla Kinchin. 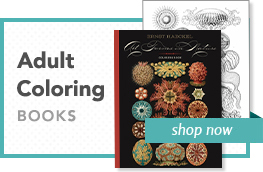 112 pages, over 40 color reproductions and black-and-white historical photographs, size: 8½ x 7½ in. Casebound book, with dust jacket. In 1896, Kate Cranston, the pioneer of Glasgow tea rooms in the late nineteenth century, commissioned Charles Rennie Mackintosh—who would become one of the Western worlds’ most renowned designers—to design her tea rooms, and over the next two decades he did so with dazzling inventiveness. (Mackintosh’s wife, Margaret, herself an artist, also made important contributions to the interior designs.) 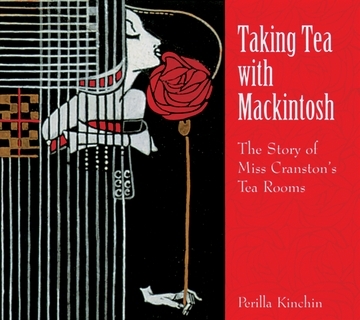 Cranston and Mackintosh opened up a unique, avant-garde artistic world to thousands of ordinary people and their tea rooms became internationally famous. Taking Tea with Mackintosh illustrates their exciting collaboration with black-and-white historical photographs of the tea rooms and color photographs of their surviving components. In addition, sixteen recipes for traditional tea room cakes, breads, and pastries are supplied, offering the best chance the reader will have to revisit these extraordinary places.